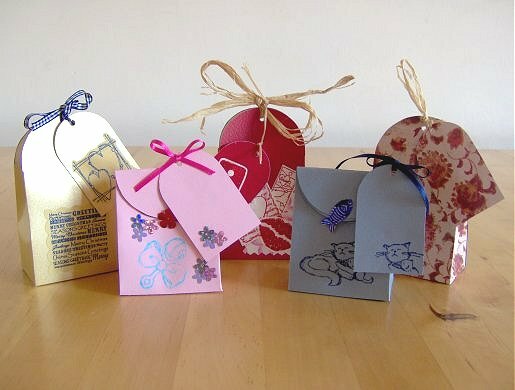 This is a lovely little gift bag that is really easy to make. 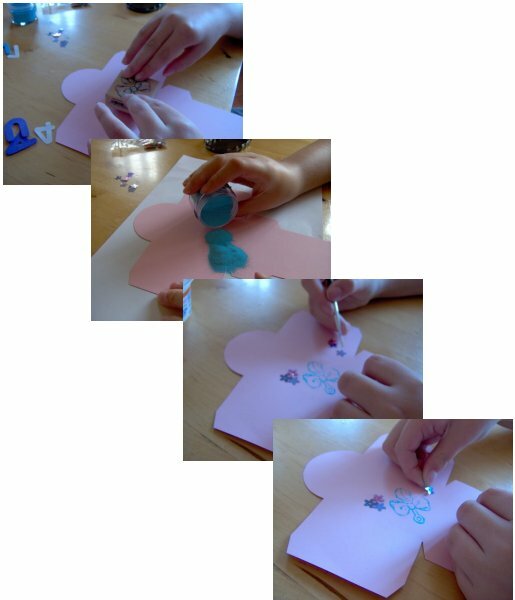 It can be made out of plain coloured or patterned card, or why not try decorating the card yourself after cutting out the basic shape. Add a gift tag (template provided) and close the bag by folding over the top and sealing with a sticker or tie closed with a piece of ribbon or raffia. These lovely little bags are perfect for small gifts hanging on a Christmas tree.There are two sets of templates for each size, one with the dotted fold lines on (this is great to practice on with a sheet of paper, or if children are making the box), and one with no dotted fold lines (these are harder to use but give a more professional finish). 1. 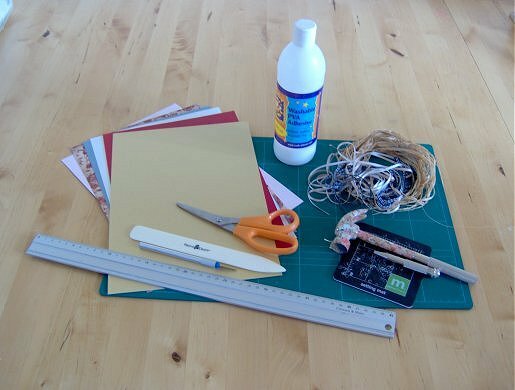 Download the bag and tag templates onto the back of the card. We have provided two templates, one with the fold (dotted) lines marked on (great for reference or if children are making them) and one with no dotted fold lines on for a more professional finish. 2. 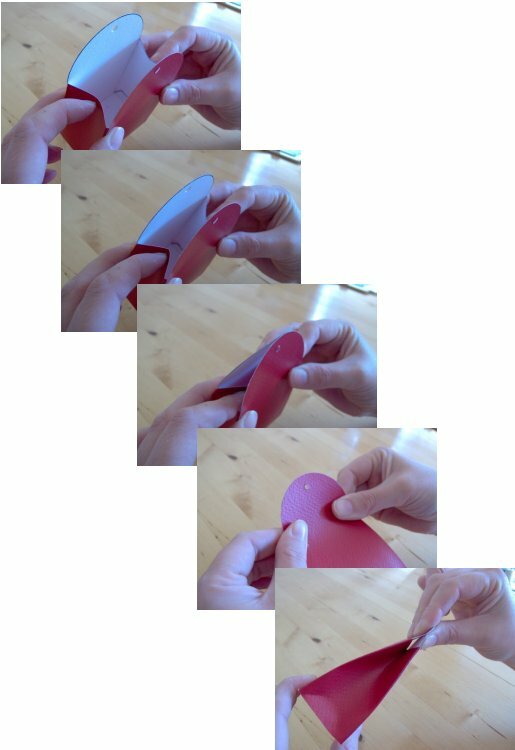 Cut out the basic bag shape. If you are going to tie the top together or hang it, punch out two holes, one at each end, as marked on the template. 3. 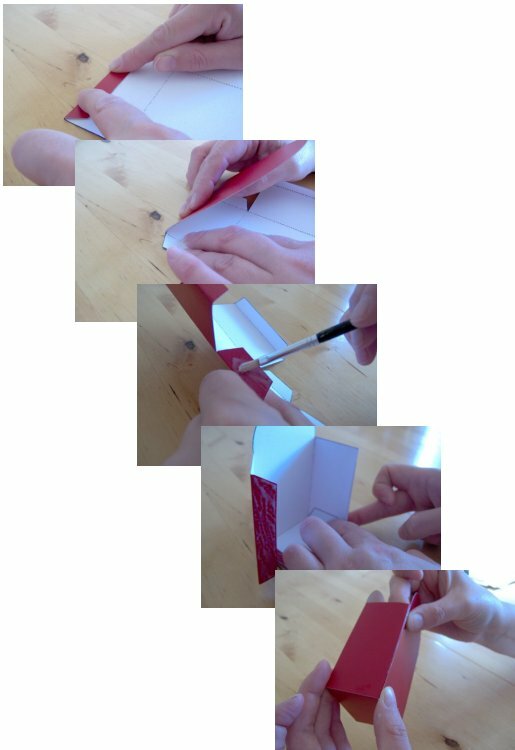 If you like you can now decorate the card before folding, with stamps, heat embossing, stickers etc. or you can wait until the bag is assembled and decorate it then. 4. 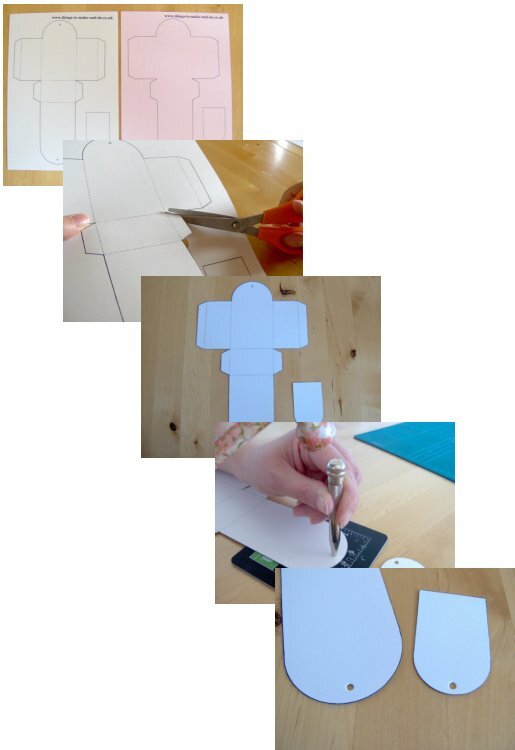 Lay the card face down and score the fold lines with the bone folder or craft knife. 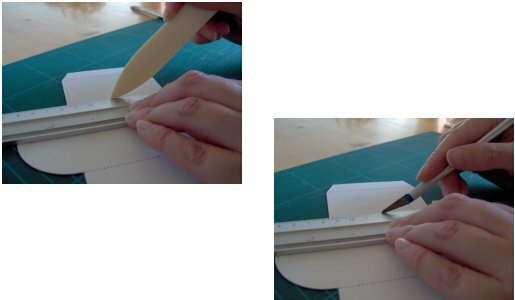 If using a craft knife lay the card face down on a cutting mat and using the ruler and craft knife VERY GENTLY score along the dotted line (DO NOT CUT ALL THE WAY THROUGH THE CARD). This is just to help the card to fold. 5. Gently fold over each scored line and spread some glue onto the reverse side of the tabs. Close up the sides of the bag making sure they are firmly stuck. 6. The bag is now finished unless you want to add more decorations. To close the bag, push in the top of the sides with your index fingers and press together making a crease at the top of the sides. 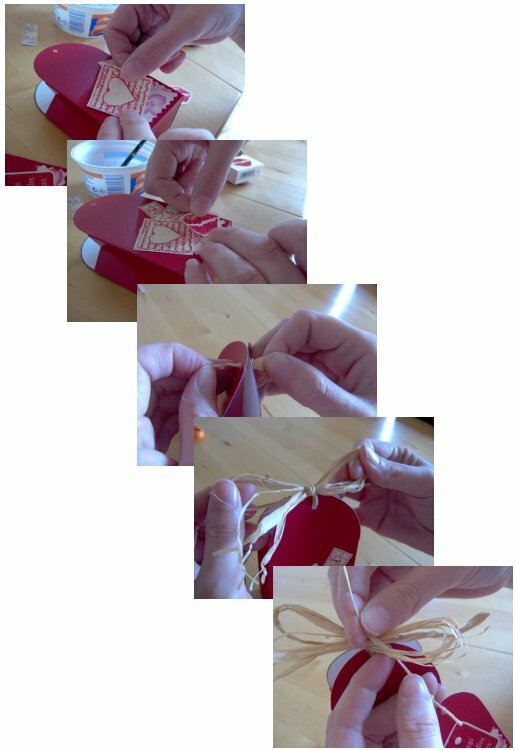 If you have made holes, place them together and tie with a piece of ribbon or raffia and a gift tag. An alternative way of closing the little bag is, after putting in your gift, fold over both tops to one side and seal with a sticker. 7. 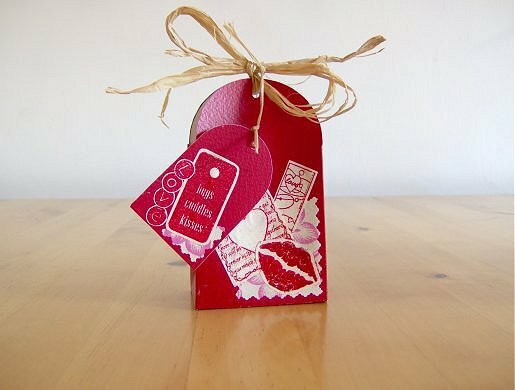 We have provided a gift tag template together with the bag template for you to cut out, punch a hole and decorate to match your gift bag.